A total solar eclipse viewed from within the "path of totality." Dubbed “The Great American Eclipse,” the first total solar eclipse to pass over the lower 48 since 1979 will cross directly over Jackson Hole, Wyoming, in the “path of totality” on the morning of August 21, 2017. So, what exactly does that mean? The path of totality is about 70 miles wide and stretches from Oregon to South Carolina as it passes directly over a handful of lucky cities and towns, including Jackson Hole. 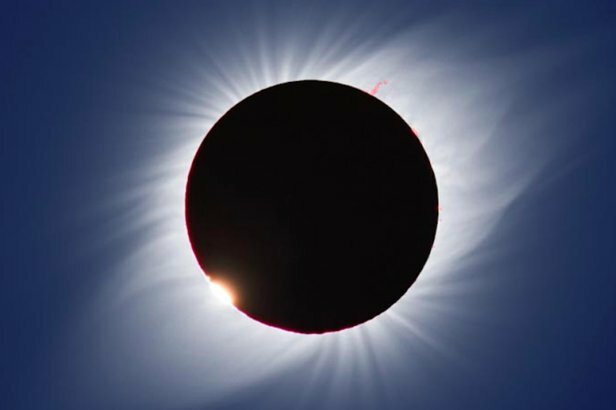 Skywatchers who are inside this path will witness the moon completely block out the sun, revealing only the sun’s outer atmosphere, the corona; this pearlescent halo of solar gasses can be seen flowing millions of miles into space and will be viewable for about two to three minutes. Rick Fienberg, a spokesperson for the American Astronomical Society (AAS) told space.com that "it brings people to tears," and "it makes people's jaws drop." If you're looking to add a major bonus to your Jackson Hole trip this summer or have been looking for that singular reason to make the off-season trip, this August you'll be treated to a spectacle more jaw dropping than a look into Corbet’s. A map of the 2017 total solar eclipse "path of totality." 1.) Ride the Tram: For $150 per person, you can ride to the summit for elevated viewing of the eclipse. Corbet's Cabin, located at the summit, offfers a limited amount of refreshments and provides restrooms. Tickets are limited and include a pair of eclipse viewing glasses, which make it possible to view the sun before and after totality. 2.) 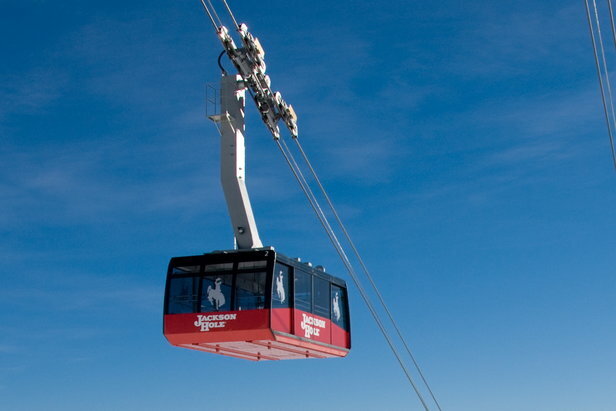 Sweetwater Gondola: For $50 per person, you can hop aboard a gondola and wisk 1,300 feet up to the Casper area, which provides a nice view of the southwest. Each ticket includes a pair of eclipse viewing glasses. Once at the top, Casper Restaurant will be open for food, drinks and restrooms. 3.) Ranch Lot: Public viewing on the Northeast corner of the Teton Village will be available free of charge. Expect limited services. Jackson Hole recommends bringing food and water to the Ranch Lot. 4.) Other: Walk outside of any Jackson Hole bar, restaurant or shop and look up.